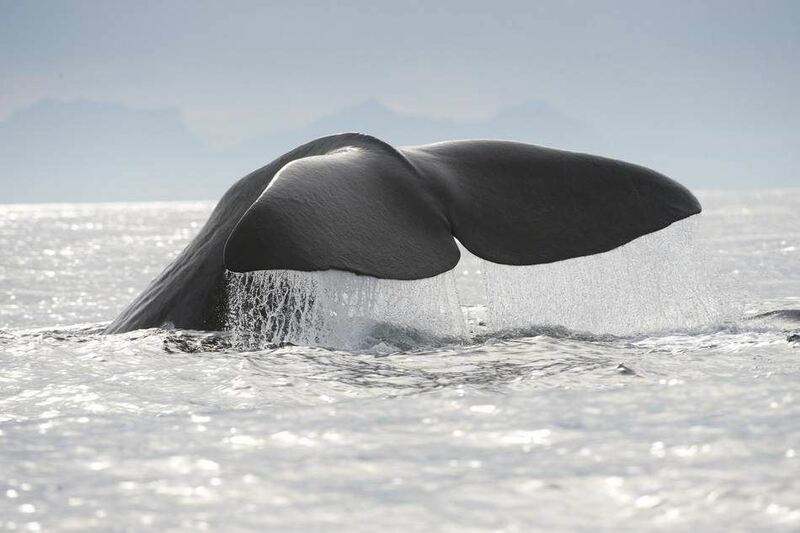 Musk ox safari in Oppdal – the Helgeland Coast – White-tailed eagle safari in Lofoten – Whale watching safari in Vesterålen - North Cape and Geiranger Fjord in two weeks! We want to give you the opportunity to choose the type of accommodation that suits your budget – ranging from camping through to hotels. For nature enthusiasts travelling through Norway, the travel route starts in Oslo and takes you all the way to the North Cape and back. The journey takes 14 days in summer and is designed for people who enjoy driving. To give you some time off from the car, we have made a twist with flights and Hurtigruten, The Coastal Steamer, in parts of the journey. Included: Accommodation, flight Bodø - Tromsø - Honningsvåg and Honningsvåg - Andenes. Hurtigruten from Sortland - Bodø. Musk Ox safari and Whalesafari. The route starts from Oslo and heads north past Lillehammer and Hamar through the valley of Gudbrandsdalen, which is rich in traditions. We recommend stopping for a few days in Oppdal and going on a musk ox safari and possibly also canyoning and a moose safari with Oppdal Safari. The majestic nature is perfect for hiking and nature-based experiences as such. 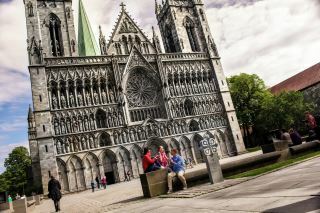 Continue north to the city of Trondheim, and discover its museums and history linked to the Nidaros Cathedral. Further north, you will discover Steinkjer and Namsos. Optional: Rent a bike from us and go on a bike ride from Steinkjer. 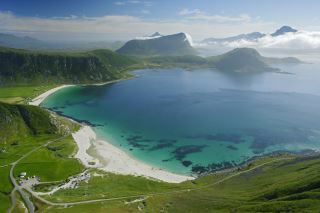 There are many wonderful nature-based experiences along the coast of Helgeland. 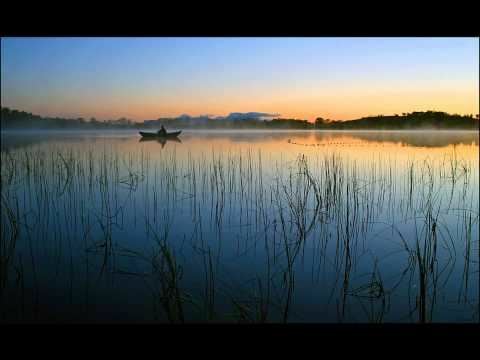 Vega is inscribed on the UNESCO World Heritage List because of the unique way of life of the fisher- farmers throughout 1,500 years. The unique industry associated with the eider duck, which has been a key source of income, can still be experienced on Vega. 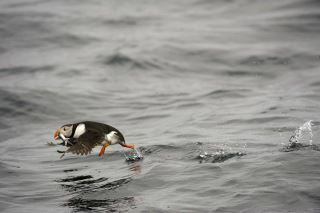 Join a guided tour to Lånan and a community where this duck species has a central role. The journey then continues to Sandnessjøen and Bodø on E6. You fly from Bodø to Honningsvåg via Tromsø. 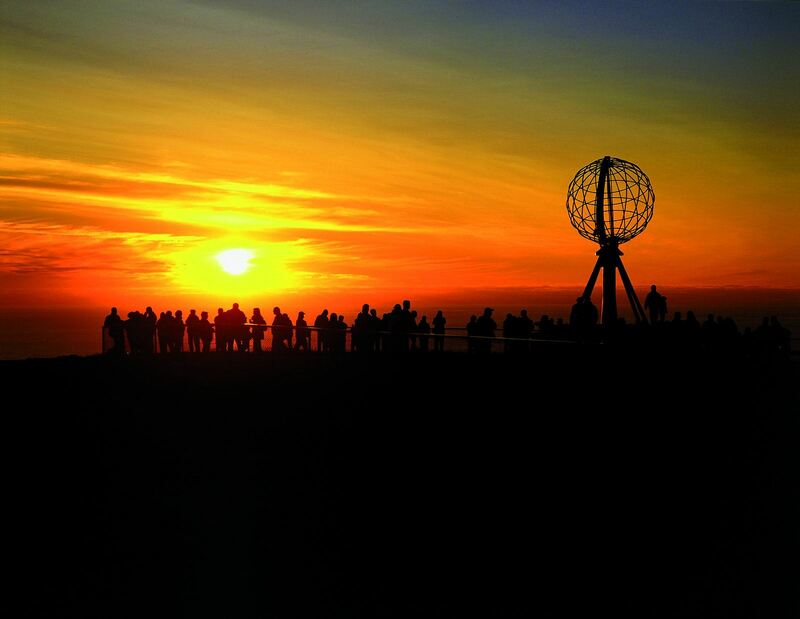 Your destination is the North Cape, just 35 km from Honningsvåg. There is public transport daily up to the plateau, which forms the northernmost point of Norway and Europe. 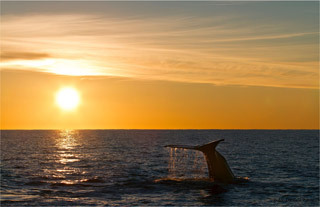 Stay overnight here and experience the Midnight Sun before flying the following day from Honningsvåg to Andenes. The plane lands near downtown Andenes, where your next adventure awaits! 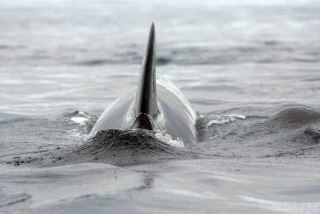 You arrive early in the morning and go on a whale watching safari in the afternoon. The whale is the king of the region and is the main reason why many simply must visit this archipelago. Vesterålen is also a popular destination for cycling and sea kayakingThe following day the journey continues by bus to Sortland, where you will board the coastal steamer, Hurtigruten. 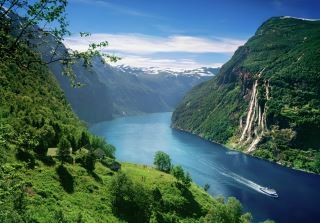 The scenic voyage takes you through the Raftsundet strait to the Lofoten Islands via the famous Trollfjord. The ship turns round at the head of this narrow fjord surrounded by the steep Lofoten mountains, which is a memorable experience. You spend the evening in Svolvær and stay overnight at Scandic Svolvær. 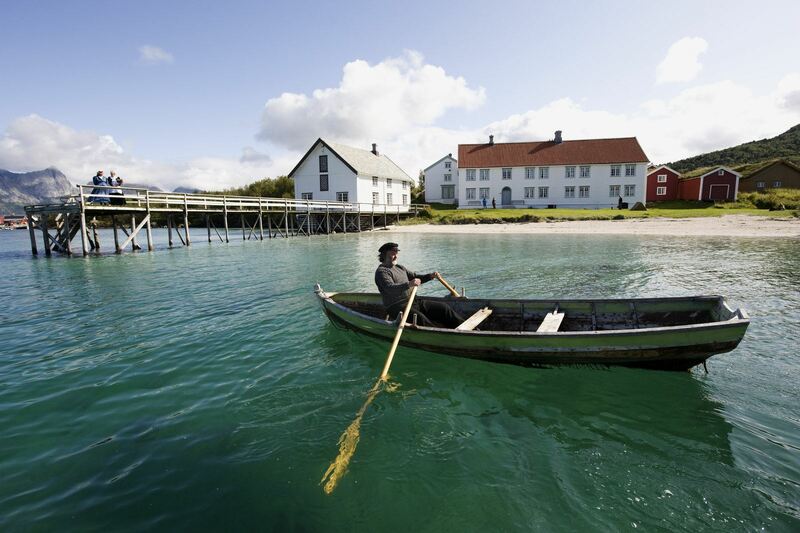 The following day you will travel by bus to the spectacular fishing village of Henningsvær, where you can stroll around at your leisure and explore the fishing village and its galleries, handicraft shops and the North Norwegian nature on the quayside. Return by bus to Svolvær in the afternoon and then continue by Hurtigruten to Bodø. Oppdal med Moskussafari. Kjør så videre til Trondheim. Vega – Sandnessjøen - Bodø. Fly til Tromsø og Honningsvåg fra Bodø. Opplev Nordkapp. Ta flyet fra Honningsvåg til Tromsø og bruk dagen i Tromsø. Sett deg på Hurtigruten ved midnatt og seil sørover til Risøyhamn i Vesterålen. Ta bussen til Sortland og gå på Hurtigruta der. Du opplever Lofoten på din ferd mot Bodø. Overnatt i Bodø. Kjør sørover langs kystriksveien til Sandnessjøen. Overnatt her. Kjør Sandnessjøen -Trondheim og opplev byen. Kjør til Geiranger og få med deg en av de vakreste fjordene i Norge. Kjør fra Geiranger til Oslo. © 2019 BestOfNorway. All rights reserved.